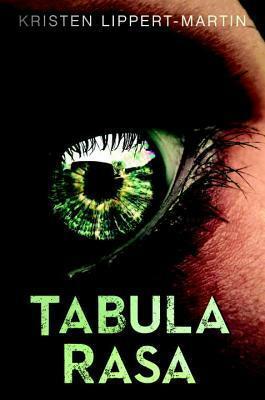 Thanks to the publisher, we are pleased to present a review and giveaway of Tabula Rasa, a new sci-fi thriller from Kristen Lippert-Martin. Check out my thoughts on the book, then enter the giveaway (US/Canada only)! Tabula Rasa plunges you right into its complicated, messy world as Sarah prepares to undergo the last surgery she needs to have her mind wiped so she will be completely free of a past that she only has the foggiest of memories of. She can only guess at what her past is, which is not so great when people start to try to kill her because of who she is -- if only she knew who that was. This is a fast paced book that I read over just a few sittings and definitely did not want to put down. You definitely feel for Sarah, especially as she starts recalling her past, as it's not a great one. She is strong and resilient, though, and even when circumstances look dire for her, she never gives up. She just wants to make things right, by the end, and has to reconcile her past with her present, and figure out who she wants to be going forward. There is some romance, and while it's not love at first sight, Sarah and her dude are really only together for a short period of time before things get shmoopy. That said, the romance doesn't take over the book at all, and is really only a minor part of the plot. It does take a somewhat frustratingly long time to get answers, and you'll probably guess a few of them before the book gets you there. I liked that we got most of the answers, and that the book seems to be a stand-alone, but they're delivered in a few pretty big info-dumps that could maybe have been worked in a little more naturally. Overall, this was a fun read that kept me interested the whole way through. Like I said, it seems like a stand-alone, but if Lippert-Martin returned to this universe, I'd probably pick up the follow-up. There are some kind of gross scenes in the beginning, talking about Sarah's brain surgery, and a fair amount of violence throughout the book (shooting, explosions, injuries, etc.) but otherwise is a clean read. Kristen Lippert-Martin has an MFA from Columbia University. She's worked at Time, the world-renowned Brookings Institution, and even had a stint as a stand-up comic before turning to writing full-time. 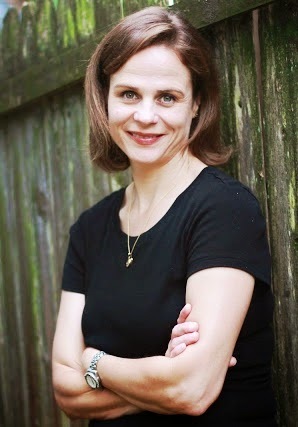 She was awarded the SCBWI's Work-in-Progress grant in 2010. She lives in Arlington, Virginia, with her husband and four children. Tabula Rasa is her first novel. Make sure you visit all of the stops on the tour for reviews, interviews with author Kristin Lippert-Martin, exclusive excerpts from the book, and more giveaways! This book sounds good and the character's life sounds uber complicated. :/ Don't think I would ever erase memories!